Paul & Zack Dats were the founders of Inkpress Paper . We are both graduates of the school of art at the Hermitage museum , <?xml:namespace prefix = st1 ns = "urn:schemas-microsoft-com:office:smarttags" />St Petersburg, Russia. Love for quality art and photography , Zack’s wealth of experience as sales manager of photo supply companies coupled with Paul’s engineering background in the printing industry sets the stage for the launching of "Inkpress Paper''. Our company’s goal is a commitment to provide the ultimate quality in professional inkjet media. Inkpress paper has the advantage of working directly with some of the best paper mills available. These mills were carefully chosen because of their standards and expertise in the manufacturing of quality inkjet media, which involves both paper base production and coating. 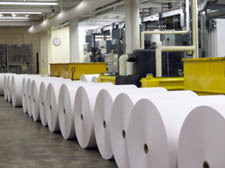 There is an abundance of knowledge available both on the part of our company and our paper mills that has qualified us one of the leading manufacturers of inkjet media. We also enjoy the guidance and advice from the experts on paper development. Our commitment is to provide the highest quality inkjet paper with unparallel tech support to the satisfaction of our discerning professionals . With the rapid development in inkjet media, we are dedicated to keep abreast of all new developments in this industry and as a result remain one the leading manufacturers in the field.